Plastic body cover with suitably designed top to place thumb while stapling. 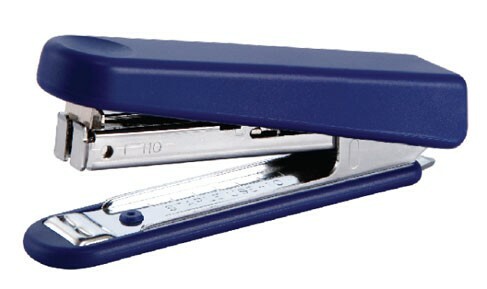 Built in staple remover and viewing slot. Indicate maximum insertion paper depth. The base length of depth is 52mm and breadth is 92mm.